:: What is the meaning of life? And it triggered a lot of comments from many view point. Some are truly interesting. To see, the post and the comments. click here. 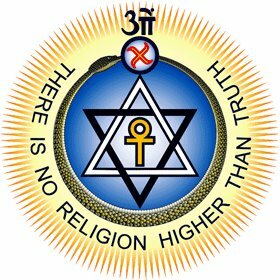 1 week back i joined Sinagpore Lodge Theosophical Society. There i'm currently attending a course in Theosophy. During the first lecture the issue of Meaning of Life / Purpose of Life was raised. And i thought i should share my thought with u. The meaning or purpose of life is to attain Perfection. As we are created in the image of God and the Divine is the Perfect Being ... the goal is to attain the perfection. It is the same reason it is said we are the sons of God, since it is son who inherit the qualities and values of Father. It is the same reason it is said that you merge with God by surrendering yourself totally so that you take Perfection in you by losing your limited, imperfect ego. I personally feel, whether it is religious or non-religious, whether it is very worldly activity or spiritual .. it is this striving for perfection is the main purpose of Life. When we work for perfection the inner (esoteric) and the outer world (exoteric) both becomes beautiful. And it is this Perfection, Harmony and Balance that creates Beauty. In the same spirit the saying of Prophet Muhmmad becomes more clear when he says, 'God is beautiful, and He loves beauty.